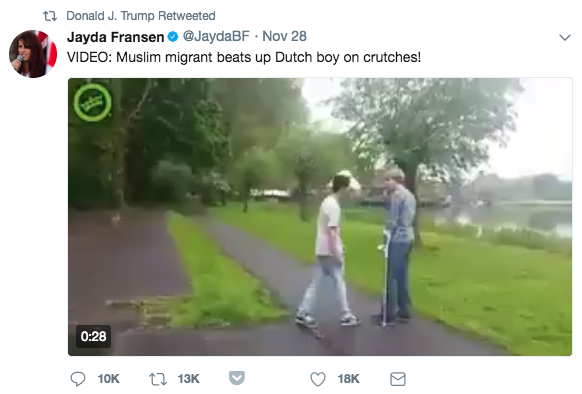 On Monday, President Trump retweeted three anti-Muslim videos posted by the deputy leader of a far-right British political party. 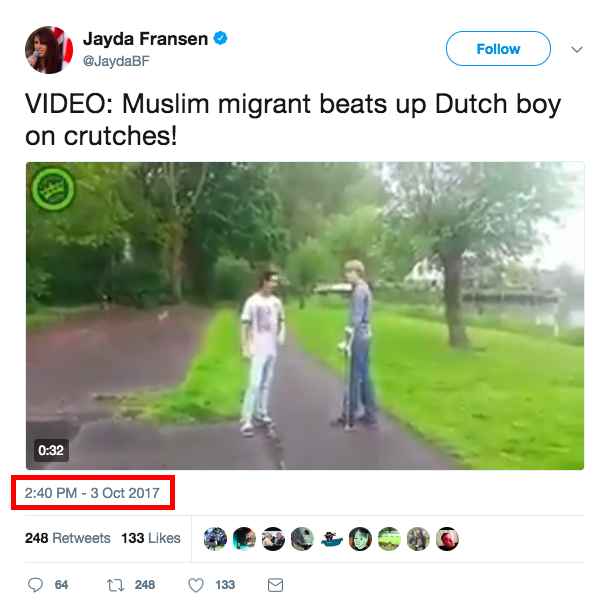 One of the videos, claiming to show a “Muslim migrant” assaulting a “Dutch boy on crutches,” is false. But it lived for for months on pro-Trump Twitter accounts and in anti-Muslim fever swamps online. Here’s the history of the the video’s journey to the president’s Twitter account. The video first appeared on a Dutch video site, Dumpert.nl, on May 13, 2017, the fact-checking website Snopes reported. The original title did not reference Muslims or migrants. A day later, on May 14, 2017, Dutch police found and arrested the attacker thanks to the posted video, according to a report from De Telegraaf, a Dutch news organization. The news report neither mentions the 16-year-old boy's religion or if he's a migrant, but does say his hometown is Monnickendam, a small town in the Netherlands. 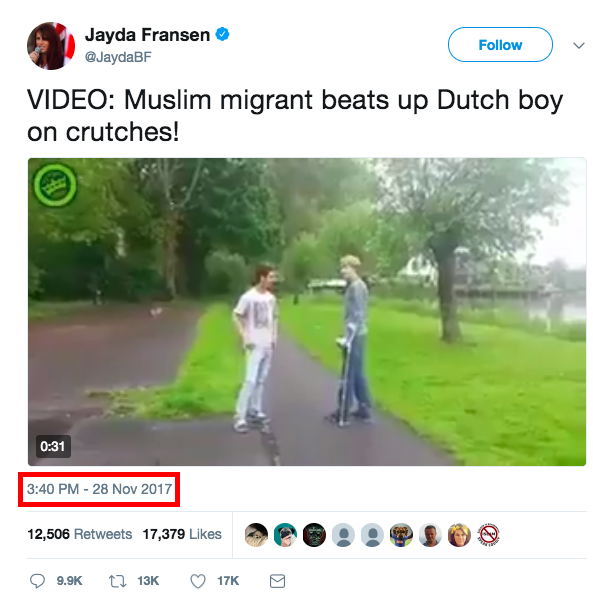 So how did the words “Muslim” and “migrant” associated with a video showing a Dutch boy beating up another Dutch boy appear? 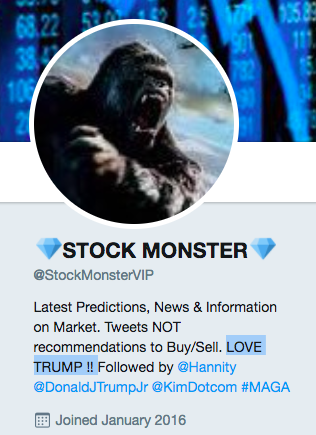 It looks like it began with a pro-Trump Twitter account. 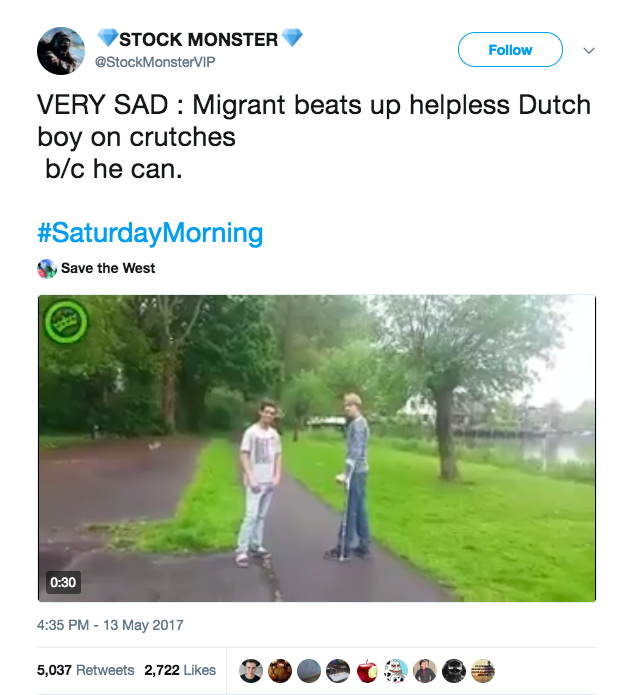 The account, StockMonsterVIP tweeted the video with the Dutch website's logo in the upper right-hand-corner and added the word “migrant.” StockMonsterVIP's tweet came just a day after it was originally posted there, and on the same day as the teen's arrest, May 13th, 2017. The video received at least 5,037 retweets. 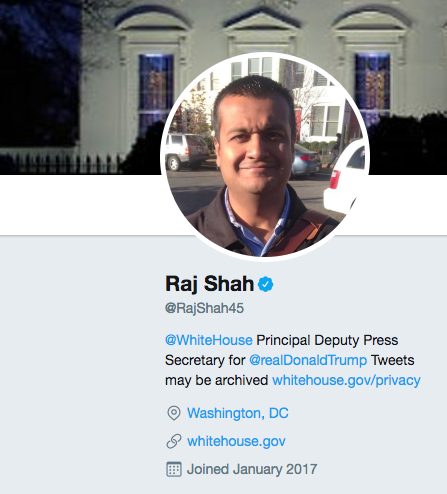 The Twitter account, which often tweets pro-Trump memes and news reporters, is also followed by retired Lt. Gen. and ousted Trump National Security Advisor Michael Flynn, as well as President Trump’s son, Donald Trump Jr., who is very active on Twitter. Also in May, the video made rounds on the notorious and pro-Trump Reddit forum, The Donald, receiving 224 comments. Geller also tweeted a link to her story containing the video. The next day, Alex Jones’ website Prison Planet also posted Geller’s post — with “Muslim Migrant” in the headline — along with the video. 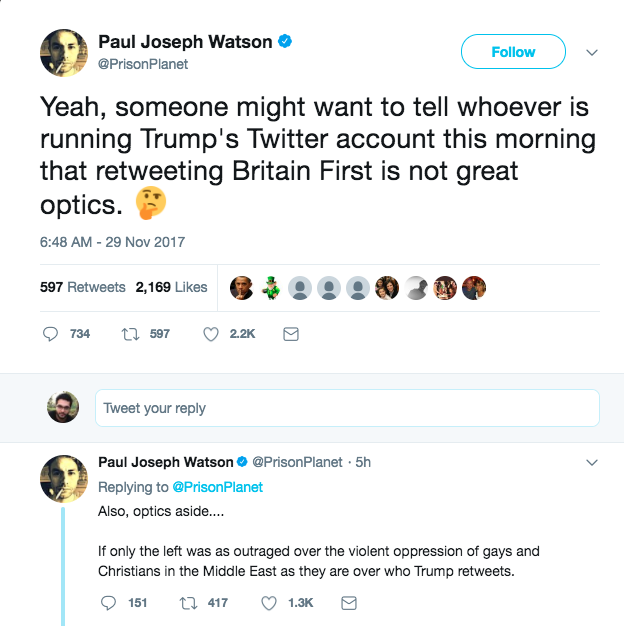 Paul Joseph Watson, an editor at Infowars — the Alex Jones media property which also owns Prison Planet — tweeted a critique about Trump’s retweet, questioning the “optics” of retweeting Britain First. 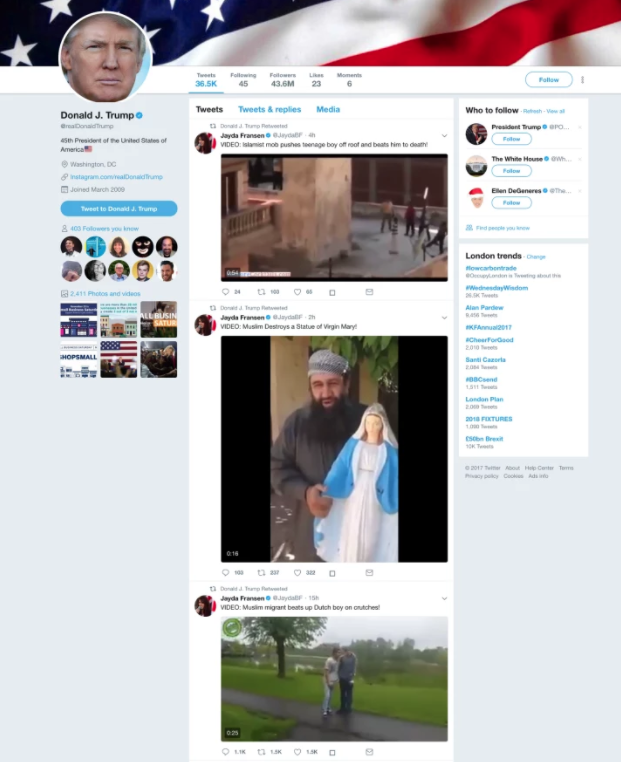 “I wrote in the past about Syrian rebels ransacking Christian churches, as seen in the video Trump retweeted,” Watson continued, implying his tweet was in reference to another other video retweeted by Trump. Months after the words Muslim and migrant were added to the video, it reappeared on the video sharing website, LiveLeak, on August 28, 2017, according to Snopes. A little more than a month later, the far-right and fringe British political group’s deputy leader, Jayda Fransen, tweeted the video for the first time. Fransen posted the same video almost two months later. 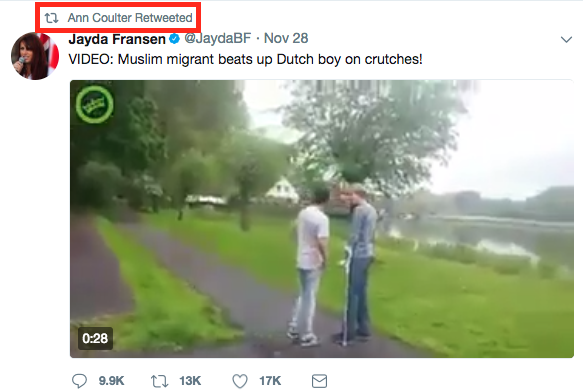 It is unclear how President Trump, who does not follow Jansen, came across the video but conservative writer and commentator Ann Coulter, who Trump does follow, retweeted the video on the same day Fransen posted it for the second time on her account. Still, it's not even clear Trump himself hit the RT button. When White House Deputy Press Secretary Raj Shah was asked how the president came across the video on Wednesday.